Форум » FAQ & Скриптинг » Как установить мод в игру ??? » HOW TO INSTALL MODS ??? HOW TO INSTALL MODS ??? 1. EXE � These are the easiest to install. Once the file has downloaded just double click on it and when it runs it will install itself, done, run the game and test it. 2. RAR � These are compressed files, these can contain any files or folders which have been compressed to make downloading quicker. When the download finishes you need to extract all the files within the rar file. You will usually end up with either exe files or zip files. RAR files are also used for the map downloads and will usually require extracting to your data folder. 3. ZIP � These too are compressed files. Check to see what files are contained within them. If there are zip or exe files then these will need to be extracted and exe files run. If a zip file contains the mod itself then the zip file needs to be copied into the mods folder of the game. 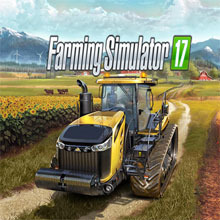 XP: User\My Games\FarmingSimulator2013\Mods Vista: Documents\My Games\FarmingSimulator2013\Mods.